Big congratulations to Wendy!!! She is going to have a grand old time spending that $50!!! 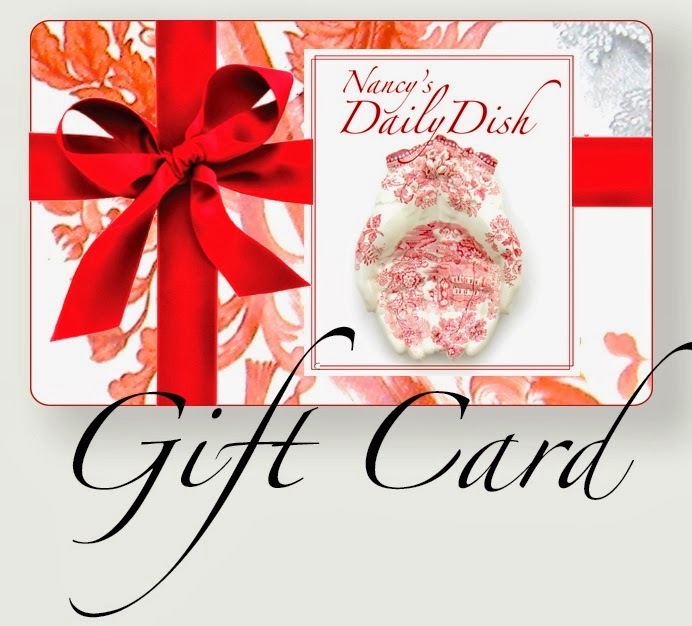 For dish lovers like me, Nancy's Daily Dish is a must. As well as you of course. I always look forward to your table settings. Oh so excited! Thank you so much! What do I need to do? How do I redeem the $50 prize?